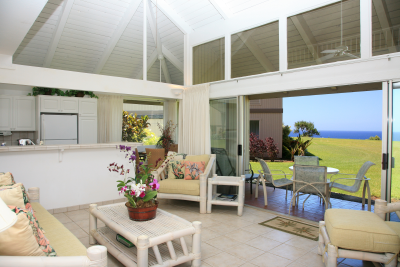 Princeville townhome with ocean views -a two story attached townhome with no one above and no one below. 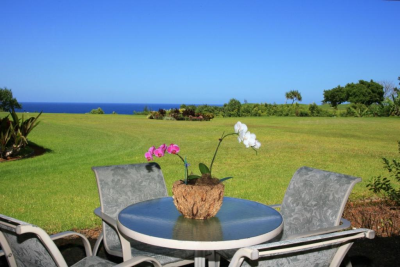 This fully-furnished first floor condominium opens out to the expansive green lawn and overlooking the ocean. 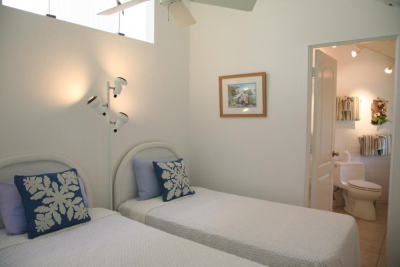 Pali Ke Kua 139 offers 993 square feet plus a covered lanai of over 100 square feet, Enter this townhome and step down a few steps into the main living area. The main floor includes living, dining and kitchen areas and a master bedroom suite with the full bath and walk-in shower. 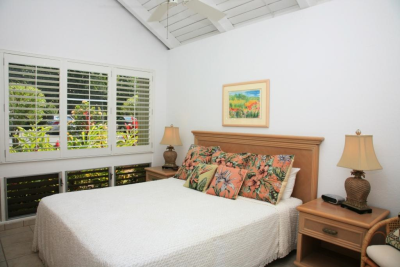 The tiled floors make for great tropical living. 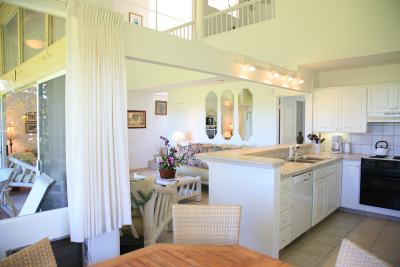 The covered lanai opens up to the lawn and is a great place to watch the whales and albatross (in season), A few steps up from the door will bring you to the second bedroom/bath loft. 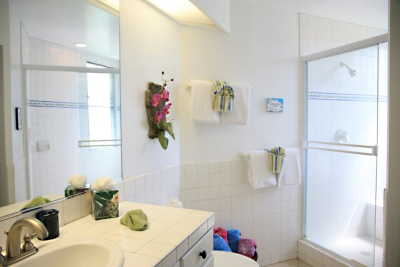 The entire condominium was remodeled in 2002. The upper loft area was re-architected to allow more light into the upper loft and provide for more livable space and extra storage. A full bath was incorporated into the living space. The building was re-roofed on 2000 and a new automatic solar fan/skylight was installed. When the temperature of the roof reaches 85 degrees, the fan turns on automatically to draw air from the condo.